Watch an infant reach for a toy, or kids running down a hill. Chances are you can hardly remember a time when your own movement felt so free and effortless. We are creatures of habit and our movement and thinking patterns are shaped by our life experiences, beliefs, and circumstances. Often we don’t acknowledge inefficient movement patterns until pain occurs (such as slouching in a chair, walking with our head way forward, or inhibited breath). The Feldenkrais Method® is an effective means to improve posture, alleviate pain, and to increase your awareness of your internal world of sensations. The Feldenkrais Method is at the forefront of neuro-plasticity, improving the effortless use of our minds, bodies, and behaviors to accelerate human potential. 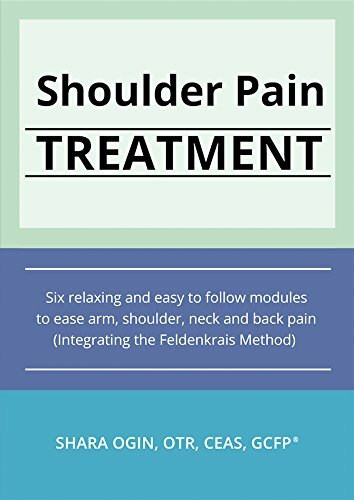 The NY times states in it's newly released article "Trying the Feldenkrias Method for Chronic Pain" it is one of the more effective ways to "retrain the brain – to establish new neural pathways that result in easy, simple movements that are physiologically effective and comfortable." I conduct all of my private (FI) sessions in the comfort of my home. Gentle skilled touch is used that often sends people into a state of utmost relaxation and bliss while the healing occurs. The method has an immediate effect on the nervous system so that when the session is over you will feel a significant difference. Your balance, posture, and ease of movement may all be improved, as well as your peace of mind. When appropriate, I incorporate coaching & intuitive healing in my pain management treatments. Pain is stored in the body at a cellular level, and each cell is responding to the accumulation of our life experiences and beliefs. With this understanding as our starting point, I look at physical and emotional pain as one and the same. Significant Pain Relief is experienced in most all of my clients at the end of every session. I frequently work with clients who have back & neck pain, insomnia, arthritis, overuse injuries, depression, attention deficit disorder, neurological conditions such as stroke, and other chronic or acute conditions. The Feldenkrais Method can benefit anyone who wants to improve his or her posture, health, and well being. Feldenkrais is also very helpful for pregnant women and postpartum recovery. In Feldenkrais movement lessons the teacher will guide you through gentle step by step sequence patterns all geared towards helping you use your bodies more efficiently and wisely. Each lesson will have a direct affect on your coordination, flexibility, balance, skeletal alignment, ease of movement, and comfort. Feldenkrais students have reported sleeping better, improved performance with sports, and feeling less anxiety. Please message me directly for my upcoming classes & workshops. Reach out to me for payment plan options. We will respond within 48 hours. Let us know which program/s you are interested in on the subject line. Your contact information is strictly private and will never be shared. Thank you for your wonderful healing today. Your magic was received. After 4 days of not being able to walk (even to the bathroom) due to a slipped disc, I can now walk upright again after your 1 session. My neck pain is gone as well. I was mesmerized and sort of hypnotized. You are GREAT at Feldenkrais. When you worked on me I was mesmerized, and sort of hypnotized. It felt like if you continued for another couple hours I could leave my physical body and go floating out the window. My body felt so wonderful after. I was immediately put at ease. I was seeking help for a pinched nerve in my neck which was leaving me with a less than optimum left arm and numb fingers. I was immediately put at ease by her calm hands and touch - at the same time very loving and knowledgeable and rejuvenated all the places she was working on.